Tech support scammers have doubled down on targeting Australians who’ve now lost $4.4 million compared to the $2.4 million recorded in the whole of 2017. The Australian Competition and Consumer Commission (ACCC) has issued a warning to Australians after seeing a huge spike in tech support scam reports from victims. The authority classifies tech support scam as a “remote access” scam because of the remote access software, such as TeamViewer, that scammers convince victims to install. In 2017, the ACCC and its site Scamwatch received 8,685 remote access scam reports from victims who’d collectively lost $2.4 million over the entire year, according to its annual Targeting Scams report released this May. Remote access losses were up 36 percent compared to the 2016 and it was the third largest scam category in financial loss terms, which was led by upfront payment and advanced fee fraud at $4.1 million on the back of 8,588 reports. The ACCC received over 26,000 reports in 2017, but total losses tied to these reports were just $810,000. 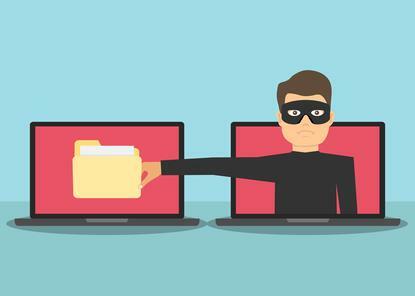 Remote access scams however could be 2018's biggest source of losses to Australians. With four months remaining until the current year's reporting period ends, the ACCC has revealed it’s received over 8,000 reports about remote access scams that have led to losses totaling $4.4 million. In other words, the commission has received twice the number of reports about this scam compared to last year's total, and financial losses connected to the category so far are larger than last year's biggest loser. ACCC Deputy Chair Delia Rickard said it was mostly older Australians who reported falling for the scheme. Rickard also noted a change in tactics by remote access scammers who’ve traditionally posed as tech support staff from a well-recognised brand, such as Microsoft, Telstra, or NBN. The scammers still rely on big names to con victims, but instead of claiming to help resolve a bogus malware infection, they claim they are investigating scammers or hackers that are using the target’s computer to spread scam messages. The scammer then suggests that granting remote access to the victim’s computer and online banking service will help trap the fictional scammer. “The scammers are becoming more sophisticated,” said Rickard, who stressed that people should never give an unsolicited caller remote access to their computer. Queensland Police issued a warning in February about fake Telstra staff calling local residents and asking for help to catch hackers. Its advice was to “just hang up”. Rickard said every call of this type is guaranteed to be a scam. “If you receive a phone call out of the blue about your computer and remote access is requested, it’s a scam 100 per cent of the time. Just hang up,” she said.